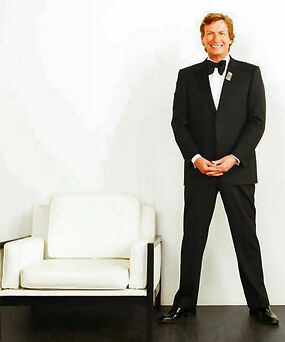 Emmy winning producer Nigel Lythgoe and his Artist Development Team searched the internet for the very best performers, singers and songwriters to open for recording artists Nicki Minaj, Rod Stewart, LMFAO, Brad Paisley, Jason Aldean, Jason Mraz, Gym Class Heroes, and others. Olivia Lee serves as the host of the show and the Artist Development Team includes musicians Martina McBride, Pete Wentz, Jason Derulo, along with producer Antonina Armato from Rock Mafia and vocal coach Nick Cooper, who has worked with Beyonce and Katy Perry. On the season premiere, singer Arielle’s life changes forever when she comes into a Dallas cafe hoping for a spot in the lineup for the next open mic night. She settles in with Olivia who she thinks has something to do with the artists for the evening and opens up about her love for music and performing, and is completely stunned when Olivia tells her that she has been handpicked by Nigel, the Artist Development team, and Rod Stewart to open for him in Las Vegas at Caesars Palace in just five days. Opening Act premieres on E! tonight, July 9, 2012 at 10pm EST/PST.